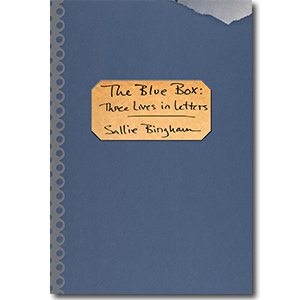 As in her previous novels, Bingham concerns herself with family relationships, and in many ways revisits the tensions of her own well-known Kentucky clan, which she chronicled in the nonfiction Passion and Prejudice . This muted yet powerful narrative is her best yet, as she captures a prominent Kentucky family, the Masons, at their most vulnerable. Headstrong 19-year-old Apple Mason is about to marry Billy Long, a poor but respectable and shrewdly ambitious employee of her father’s hardware company. The whirlwind wedding preparations have put genteel Mrs. Mason on edge, and the unexpected arrival of Apple’s sister Cory, who has just left her husband, stirs up the disquieting undercurrents beneath the family’s thin surface of restraint and politeness. 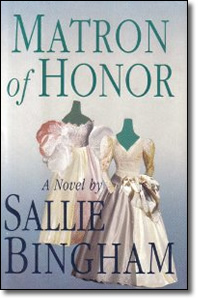 As each character looks back from the present (the early 1970s) to offer his or her perspective on the rigid clan, a disturbing pattern emerges: the energetic, intelligent young Mason women have always been kept firmly in their place; denied a role in the family business, they are prized, like Kentucky thoroughbreds, for their breeding and bloodline, but they must be tamed and broken. Billy is only too anxious to take charge, and Apple is already ambivalent about their marriage. With a deft touch, Bingham evokes distinctive moments–a ride along the Ohio River at sunset, a quiet yet totally revealing lunch between Apple’s father and his sister–with grace and acuity.